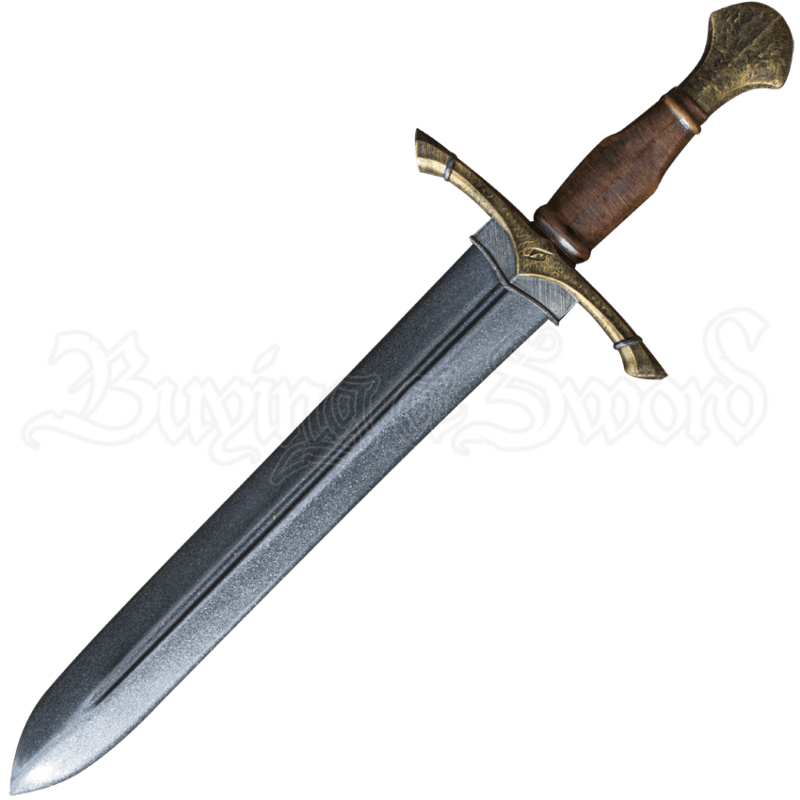 Whether traversing an enchanted forest as an elven guardian or fighting against the wickedest of foes, the LARP Ranger Short Sword is a worthy companion. This double edged LARP blade is made to withstand the stress of LARP warfare. Its sturdy construction is the result of closed cell foam wrapped around a solid fiberglass core and finished with a strong latex coating. The medieval and fantasy-inspired LARP blade features a fuller down its entire length, lending strength and lightness to its overall design. Expertly hand painted to resemble a real weapon, this LARP short sword features a slightly curved, antique gold tone crossguard, a polyurethane handle that appears as though wrapped in leather, and a textured, antiqued golden pommel. No matter the role your character takes, this sturdy LARP short sword is sure to lend you strength. This latex-hybrid weapon is approximately 23.62 Inches in overall length. This measurement will vary as each LARP sword is a handmade item.